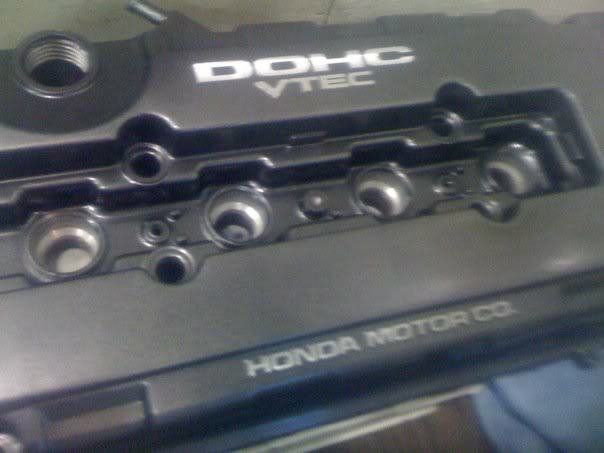 anyone know of places that paint your valve covers, i wanna paint mine glossy black with red letters. bring it over. Ill sand it down, primer it, paint it gloss black. then Ill use touchup paint. it comes in a bottle like nail polish, so you can brush it on the letters. I got a steady hand. ya you do a good job? i know people you aircraft striper or something like that to get all the old paint off. You have any pics on how some of your jobs turned out? I dont have pics. but if u wana get of done professionally, it will run you 250$ i think. I can use stripper. but it takes too long. and somtimes it will leave chunks of paint that buildup. Let see some of the valve covers you all you TI user/members have on your car. how did u create this!!???!!! ya well i want it too look pro. lol no offense i want it looking like show condition. I just used color flipping paint. it looks lik it has two different colors... am i wrong? Picked up a spare cover last week, gonna strip it tomorrow or Tuesday. Should turn up nice. Ill have pics up when its done. Imo polished letters are the way to go. Should have this done by the end of the week. And Anthony, stripper works amazing. I've used it on several covers its so much quicker than sanding. Unless you just paint over the old paint, you'll spend hours sanding the cover since the paint it heat treated and doesn't come off easy. With stripper, brush that stuff off, all the paint bubbles off in 10minutes. That gives you some time to have a beer and a smoke and you whipe it all off. Never had any problems. I'm probably gonna strip it Tuesday so ill snap some pics. Does it just spin and not come up? Grab vice grips and pull up as you turn. what kinda stripper are you guys saying to use, and where should I pick this up? 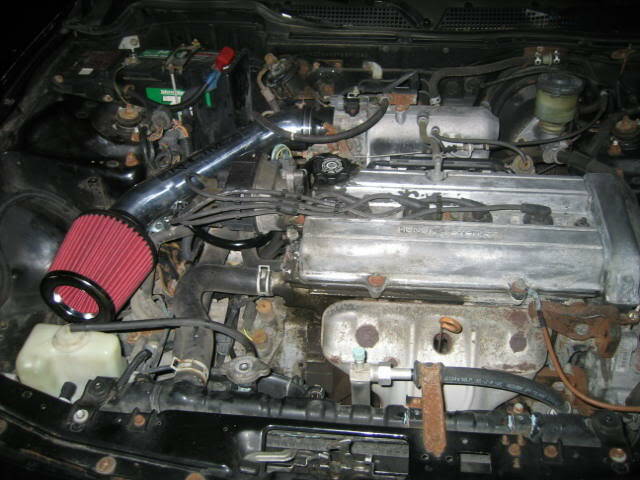 i'm gonna get my valve cover painted so need to get it stripped! I bought mine at carQuest. I think the paint stripper should be located at the paint department not auto paints. yea its in the home paint area. Hey Anthony pick up some extra stripper for me and I'll bring it when I cone for the swap. Where would it best getting the paint I got a place that does custom paint they can match any colour I'll ask them if they got something for valve covers. If bot any good places too look? It's gotta be a heat resistant one correct. Cuz the one I used on that b18b1 there I used Caliper paint. Did a bad job in it. Did bot sand it very well. black and red looks good together i think so. 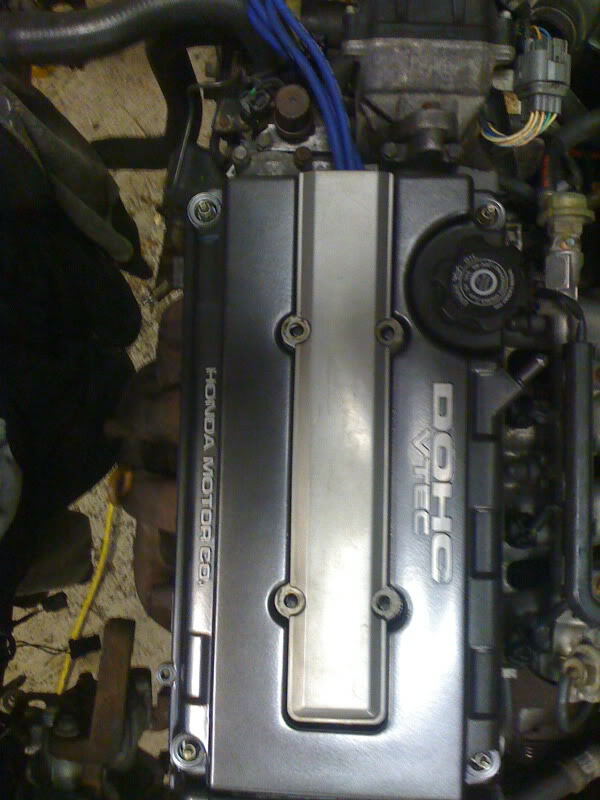 I was thinking of polishing my valve cover.... what do you guys thinks?? it took me apprx 3 days to polished this..
nice looks good did you clear coat it or anything? ---- so you did that by hand? FAK . You beat me to it. 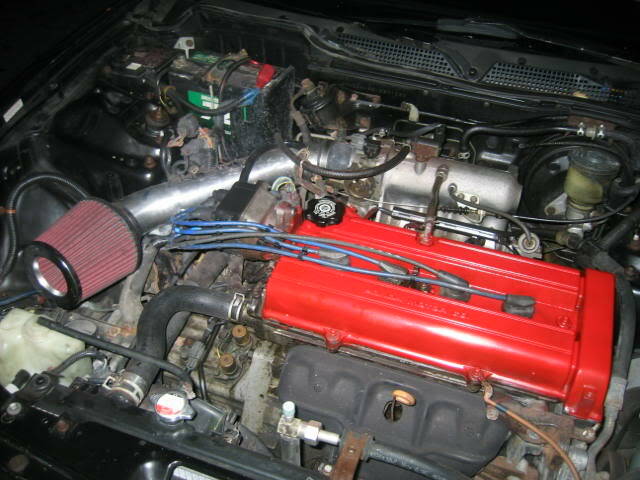 I was looking for a Second gen B18B1/B20 Valve cover so i could polish it to look like that. Very nice man. buuuuuut Im gonna have to copy it. 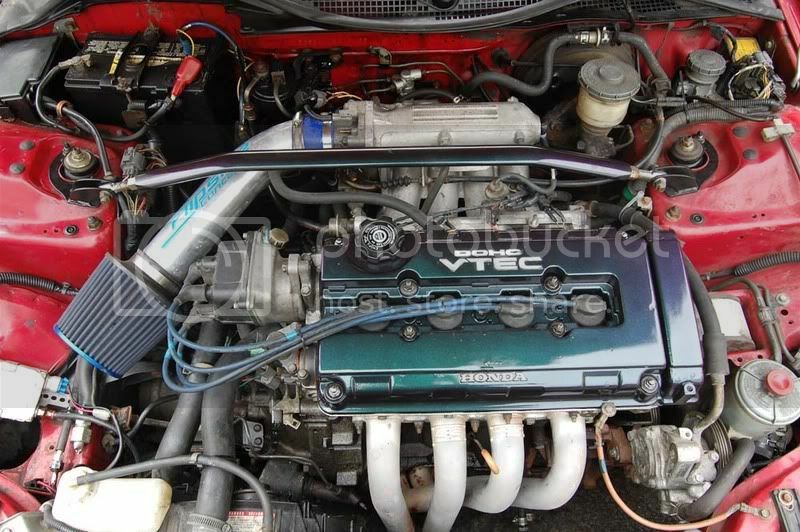 loool.Ive had it in mind for ages, I just never got that DAMN VALVE COVER! I know I was going to do mine last year,lol. Good thing I have a spare valve cover to work on right now so I don't need to rush doing mine,lol. Good job on the cover. You should still clear coat it. because the polish paste will come off over time, and it will start to rust. 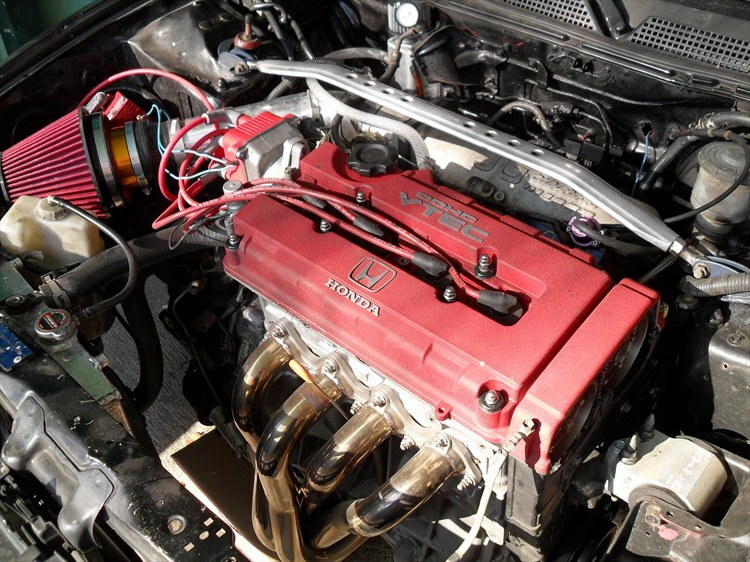 Design your valve cover and post it here. Once there are 10 contestents that want to participate, the buildoff will begin. Rules: You cannot post previous designs, it has to be one that you start from scratch from this moment on. You can change your design anytime within the competition unless said otherwise. This is what I might start off with. Just did it today.